The 2013 F1 season was lacking in a certain je ne sais quoi, possibly because the same guy kept walking away from the rest of the field like they were driving Yugos. 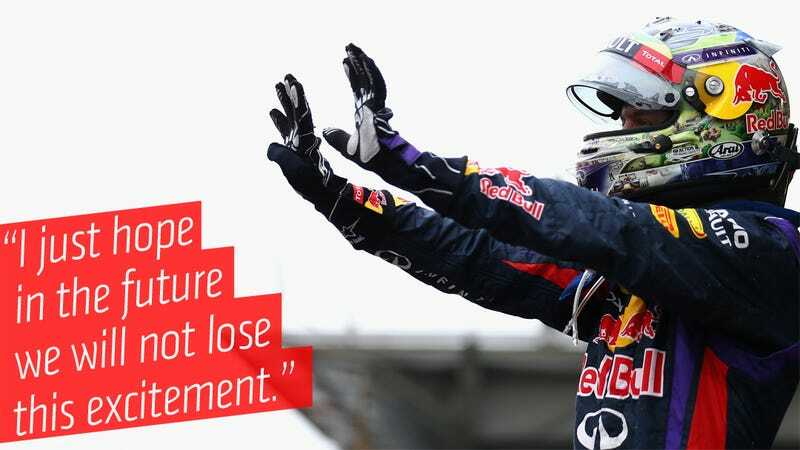 Now that very racer told the media that he's concerned that F1 is losing its thrill factor. I know a very simple way that Vettel himself could spice up next year's season: retire.